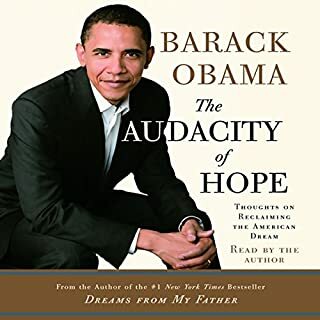 The fiery US senator from Massachusetts and best-selling author offers a passionate, inspiring book about why our middle class is under siege and how we can win the fight to save it. As someone who lives in the UK, I had no way of impacting the US election but I have been a strong supporter of Hilary Clinton since I studied US politics at school and this was the perfect read and memoir. I also find it interesting to see behind the curtain and Hilary was able to give a sense of this as well as discussed the all the issues that were brought and perhaps cost her the presidency. but never came across a bitter or as someone who is blaming anyone else for what happened. 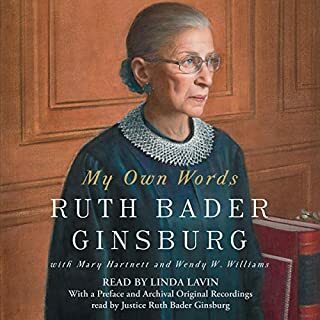 If you have any interest in hearing her side in what happened I would recommend this to you as she is able to give you a clinical look at the election, but also able to inject her personality and her thoughts and feelings without being overbearing or whining. This is so worth listening to but be prepared to invest a lot of time. Hillary reading it adds interest to the narration. It's not just the insights into the US election but what she has to say about living with such a devastating loss and coping with the barrage of insults and lies. Thank you Hillary. It is awful that she lost but this book spends far too much not discussing why and then primarily discussing external factors, not internal. 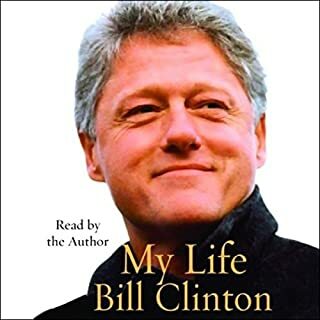 There is a whole chapter on Chelsea Clinton which makes no sense in the context of this book unless she is being positioned to run for something. Hillary says she takes the blame for faults in her campaign but they are barely described. I don't think you will be much wider having read this: it is another example of Hillary not opening up and being real. for example she says her campaign team was amazing: everywhere. how can that be reconciled with such poor results in key states. if not intending to be fulsome, it may have made sense to wait a little until she could be. A book a bout a flawed Superwoman. While Hilary was the best candidate for the job, as she was more qualified than any man that had ever run for the American presidency or won it for that matter ever. And notwithstanding the fact that it took the combined efforts of the Russian government, a smear Campaign on the internet, leaked DNC emails, a non-existent private email server scandal and the maniacal rantings of the male candidate, a man so corrupt that the ongoing investigation into his affairs may culminate in the destruction of not only his political ambitions, his businesses but may take down his whole family; to beat her in the 2016 election and try to take her down on a personal level. This book gives an insight into probably why some people in America still for very different reasons just don’t like Hillary. For me, she is a great role model to all women who just keep fighting for what’s right and does not let the world tell them No. She’s a Superwoman. Even when she’s a mess, she gets up puts on a vest, with an S on her chest, Oh yes, she’s a Superwoman. A brilliant insight into the Clinton campaign and the 2016 US presidential elections. Recognising that this is a one-sided account, some of the information about Russian hacking, the inability of the media to be unbiased and the obsession with Clintons emails put a new spin of horror into the result of the election and a strong warning for the future of US and western democracy! Even if you are not a Hillary fan (I wasn't), even if you're a Bernie or die supporter, even if you're someone who has always voted republican, this is a must read/listen/share! 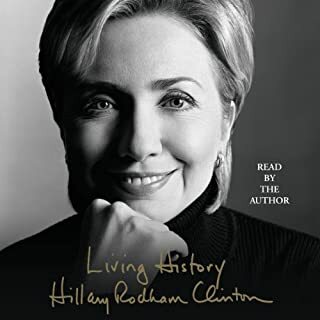 As a British women, similar in age to Hilary and sympathetic to her politics I have learned so much about her and her struggles through this book. The American people were duped at the election and are now suffering the consequences of electing a monster to the presidency. How I wish every Trump voter would read this book! No lies no hate no division, but the truth! I fear for the future of America, although we Brits have our own stupidity to blame for our current position, at least we don't have a racist megalomaniac at the helm. Hilary you are an honest, wise and persistent role model for all women and politicians. Keep going! It's a wonderful piece of writing, high quality memoir and history. HRC's performance is great -- wonderful to have her voice telling her story. As for the content... well, it is very distressing to re-live the loss and see what leadership the world could have had. But I found spending time with her company very nourishing, and I felt stronger afterwards and ready to try and make a difference to world. Not on a Hillary scale, obviously, but just in my small world. If you are tossing up between book and audiobook, get the audiobook. She was running for the office of the President. Her opponent was a fool. She lost. She was told to shut up. Nevertheless, she persisted. A good primer on the madness that was Election 2016. What Hillary felt she did right, what she did wrong and what we should all do now. 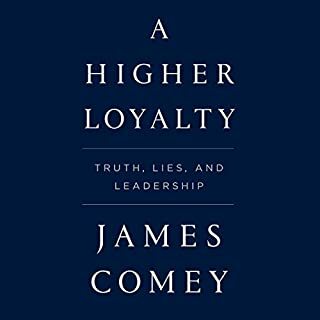 If you’re still smarting from the result and marvelling at the daily revelations about Trumprussia, this book is for you. This book took me by surprise. I was not quite ready for the impact it would have on me. What a thoughtful, pragmatic, powerful, compassionate woman. Someone I shamefully misjudged. Cannot recommend this book enough. Hillary lost, but she's gotten over it. 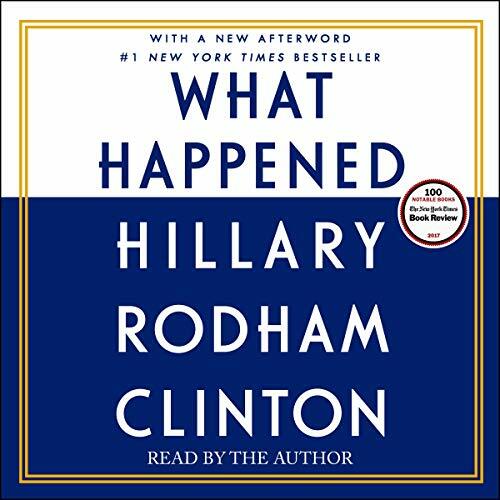 Instead of using her time to throw witty remarks and spread hate (like some people consider this book is), she spent her time elaborating the controllable Strengths and Weaknesses of her campaign, including the mistakes she made, while detailing the uncontrollable Opportunities and Threats she faced - including those God-darn emails! The title should have come with a question mark. It's clear Hillary still doesn't see how it happened. But her book does an excellent job of explaining how she lost. Although it's still not clear how Trump won. Her flat narration is part of the reason. She sounded like she was speaking to a microphone rather than through it to an audience. She threw out hundreds of reminders that she is a female. She almost lost the white college educated womens vote because a large share of this cohort don't rely on the woman card and resent those that do. It undermines their legitimacy that some of their peers pull of the woman card. But Hillary can't be faulted for her honesty. When she says she can't fathom how a college aged man in the late sixties would prefer he toot h place of woman, lest he get drafted. I believe her. When she says here Brooklyn office was decorated with a sign "wonks for the win". I believe her. As though swing voters are interested in parsing policy detail. Almost autistic interpretation of human motivation. She really thought laying down good policies is the path to election victory. Weird. She took his ties with Russia as a headwind. Bill would have handled that like the tailwind it was. But at the time, during the campaign, she was ahead on virtually every single poll. Her advisors were banking cheques saying she didn't need to change anything and her approach (ex 2008 and the first Arkansas gubernatorial where she forgot she was in the south and needed to change her last name) had worked. One final note that wasn't in the book, the experience of the middle of the road TV audience. Nightly they saw TV panel hosts tear into Trump for some gaffe. Laughing at him. Pointing out how this gaffe reminded them of an earlier gaffe. And then they produced some time for their sponsors, the ads. These ads were disproportionality HRC ads. Trump telecast only a tiny number of ads. For all the world it looked like the sponsor of the show had infiltrated the editorial. Her ads were undermining her campaign. She saw how sharp the ads looked, but didn't consider the context they would be shown in. Conditions and changed and HRC wasn't aware. She didn't have the staff, the incentive (she was far ahead in the polls) or the natural ability (anyone that is surprised in then1970's the Arkansas isn't ready for a wife not taking her husbands name is not terrific at empathy of those not like her). Post-Mortems on yourself are extremely hard, empathy for people unlike yourself is also vexing. 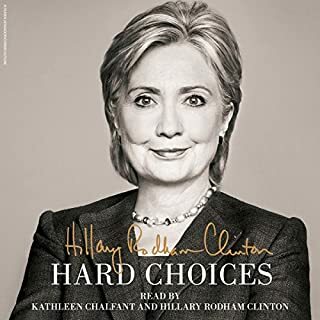 This book communicated clearly that Hillary Rodham Clinton was a terrible campaigner, perhaps the worst ever. But a marvellous candidate. To attempt a post mortem after the great personal humiliation ever is courageous. The boom shows how excruciatingly hard such a task is. And yet look at the prior world record humiliation, Richard Nixon and how he could explain his downfall in his "never be petty" speech. Post mortems are hard. But some can do them. Personally I loved it. Hilary was very well spoken and sounded beautifully done. It gave a wonderful insight to her feelings and thoughts throughout the 2016 election and how she overcome the lost. At times terrifying, fascinating, and above all inspirational, this was a great read elevated by Clinton’s excellent narration. Highly recommended! Regardless of your politics, a well written book traversing many topical issues which is definitely worth reading. Hilary was honest..accepts responsibility .. and also makes you think.. I always admired Hillary Clinton but didn't know that much about her. I wanted to read this book mainly to learn how the hell Donald Trump became President! The author provides a comprehensive and engaging description of the election; showing how sexism and dodgy behaviour influenced the outcome of the election. The most rewarding aspect of the book is the inspiration it offers to "keep going" even in the face of dickheads like Trump. The last few paragraphs of the last chapter made me want to cry. I loved this book!